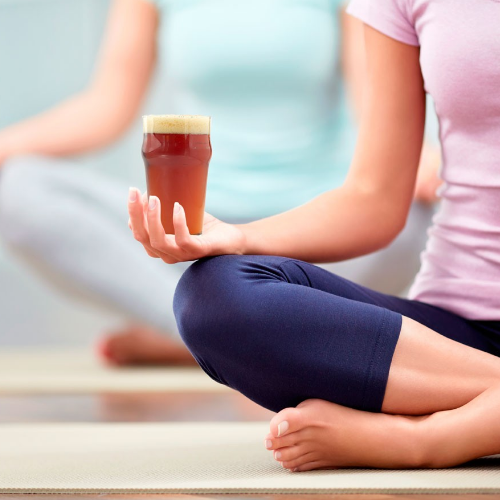 Beer + Yoga Zymurgy Brewing Co is teeming up with Being Human Yoga for our first round of Beer + Yoga. Join us for a 45 minute all levels class followed by beer & kombucha tasting with your fellow yogis. Entrance is limited. Your ticket gets you a 45-minute yoga session with world class yoga instructor and special deals on beer & CBD kombucha. Please bring a yoga mat. This is a 21+ event. Space is limited so register now! Zymurgy Brewing Co in located at 624 Main St E., Menomonie WI.